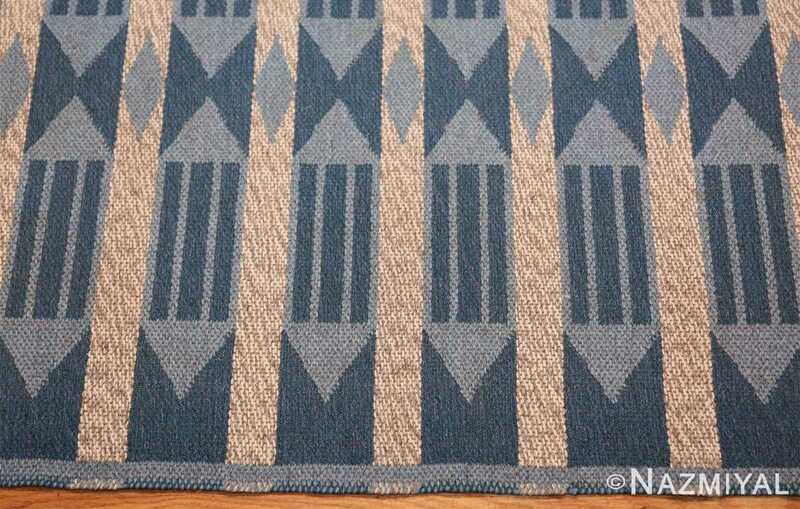 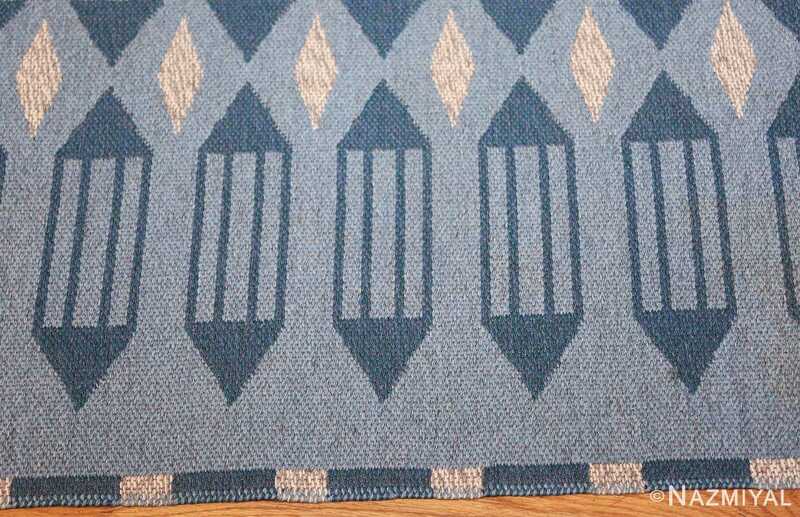 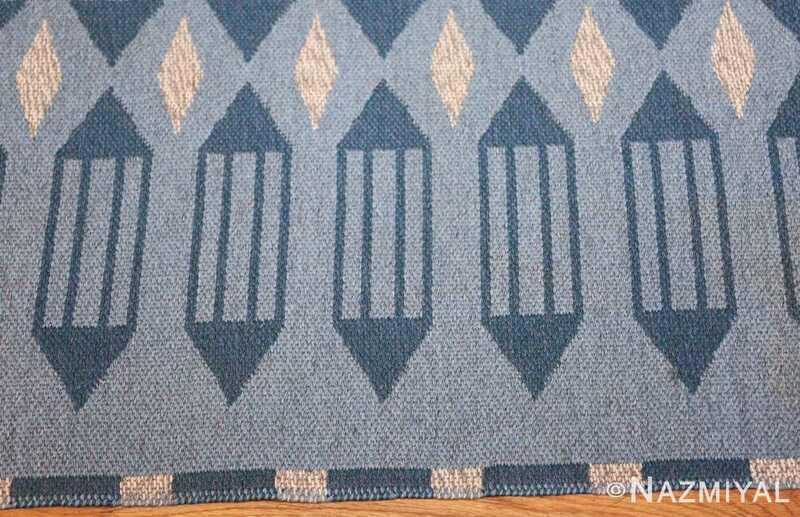 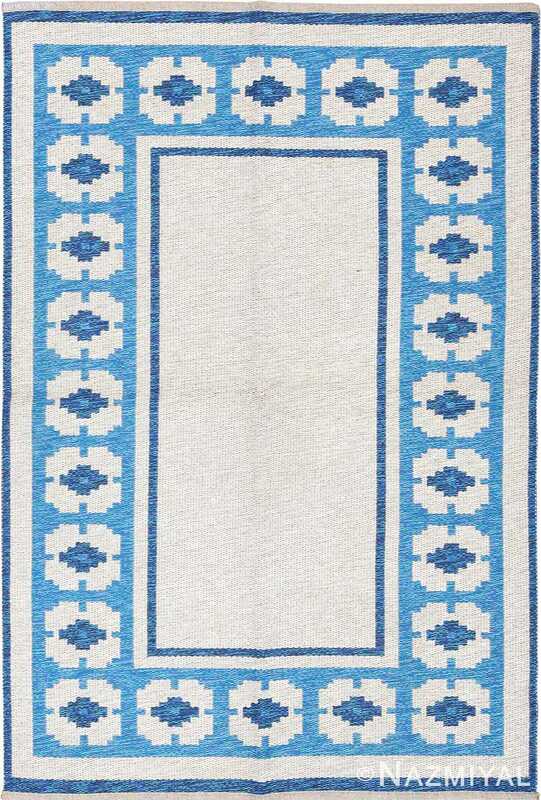 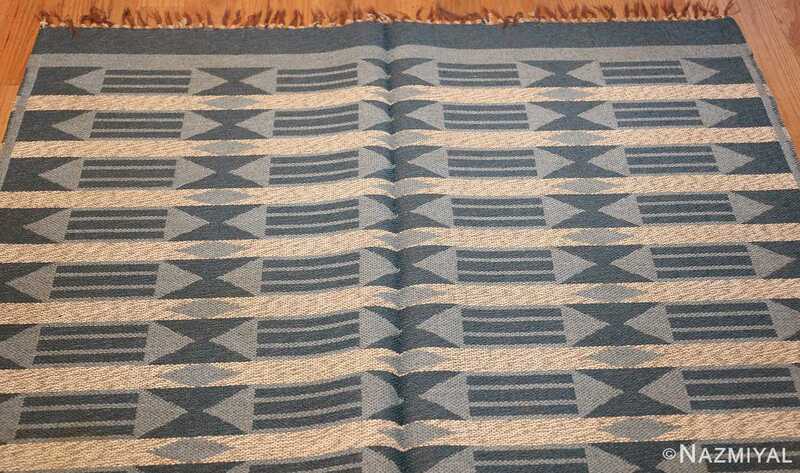 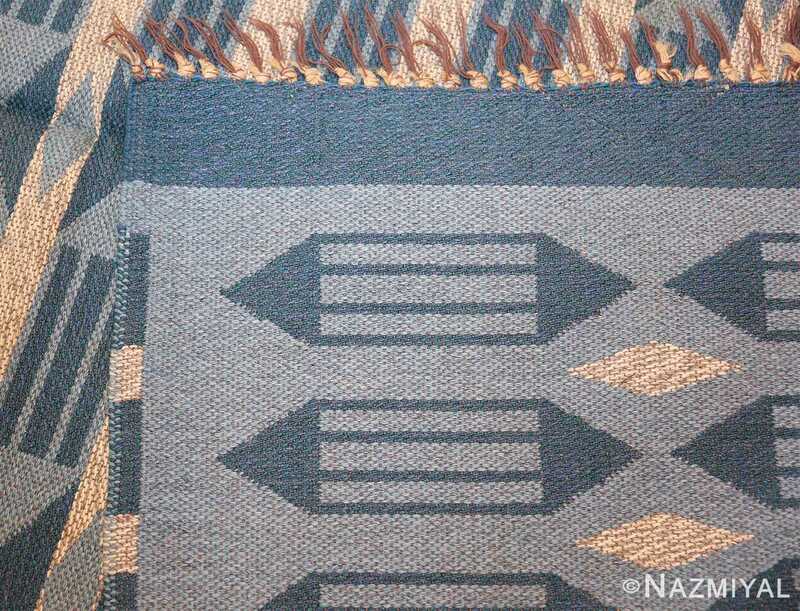 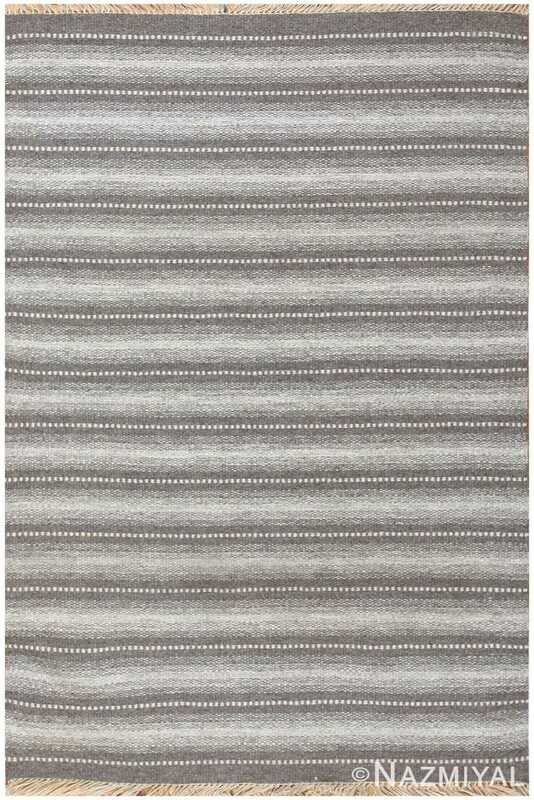 Vintage Double Sided Carpet, Sweden, Mid 20th Century — Elegant simplicity defines this Swedish carpet. Its two sides are reflections of each other, with the color schemes arranged in an almost inverse pattern. 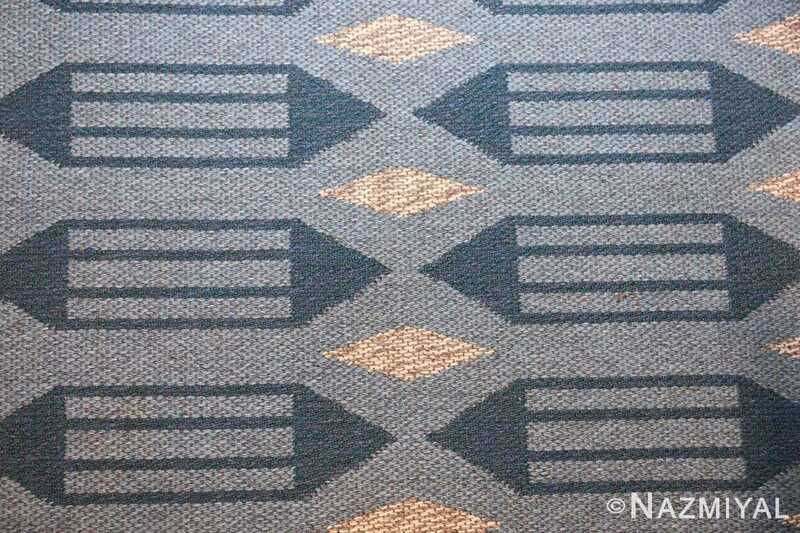 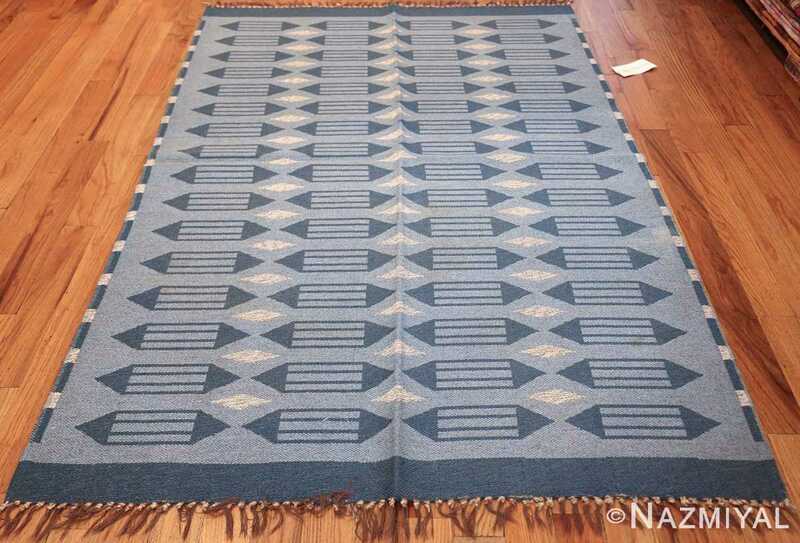 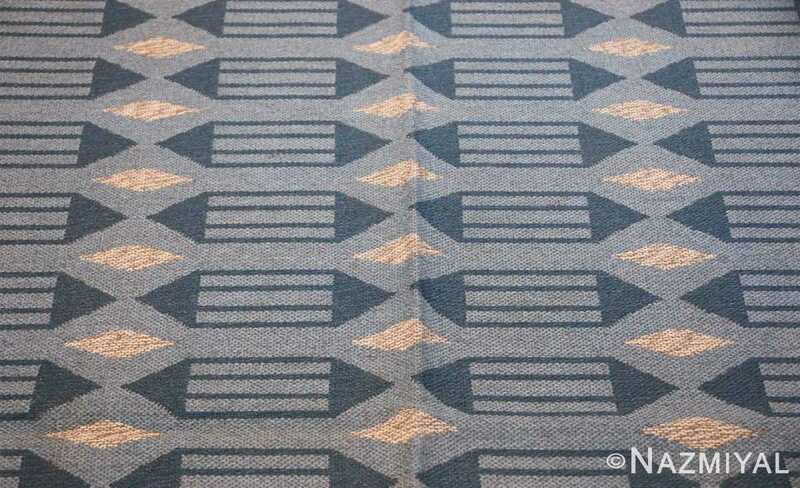 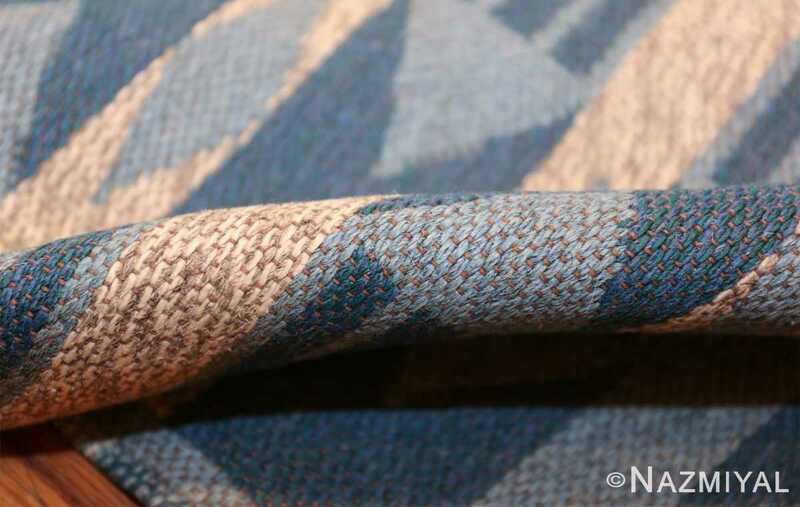 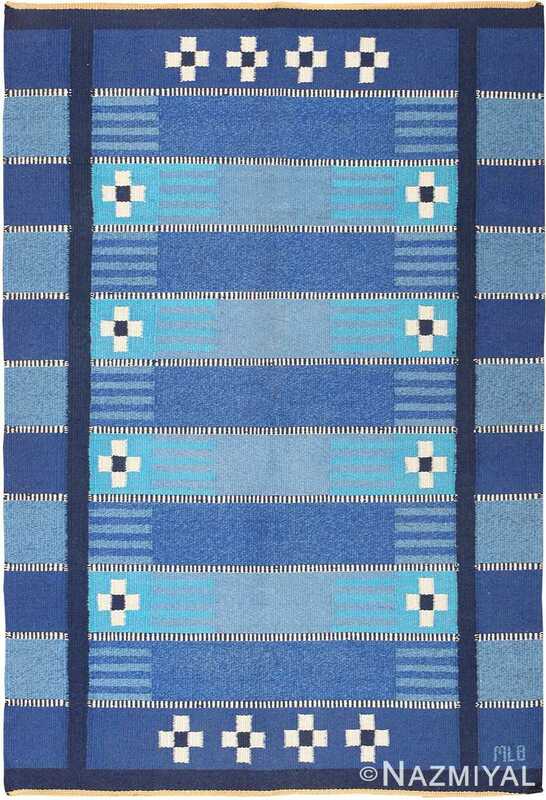 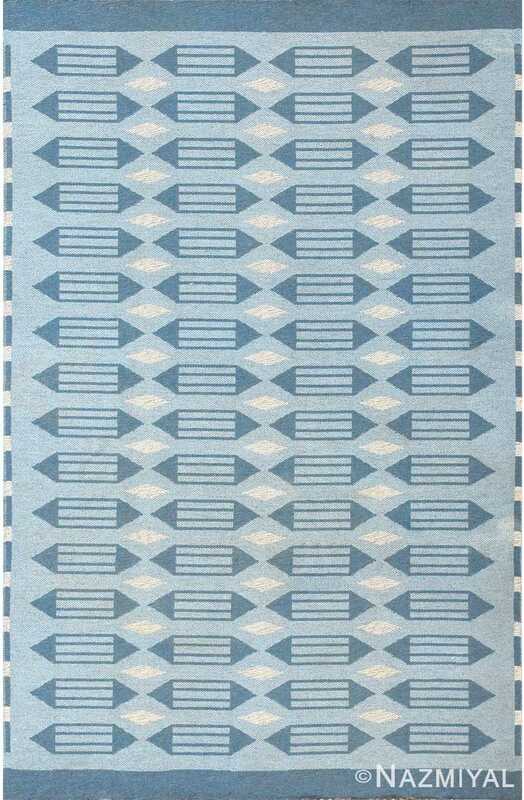 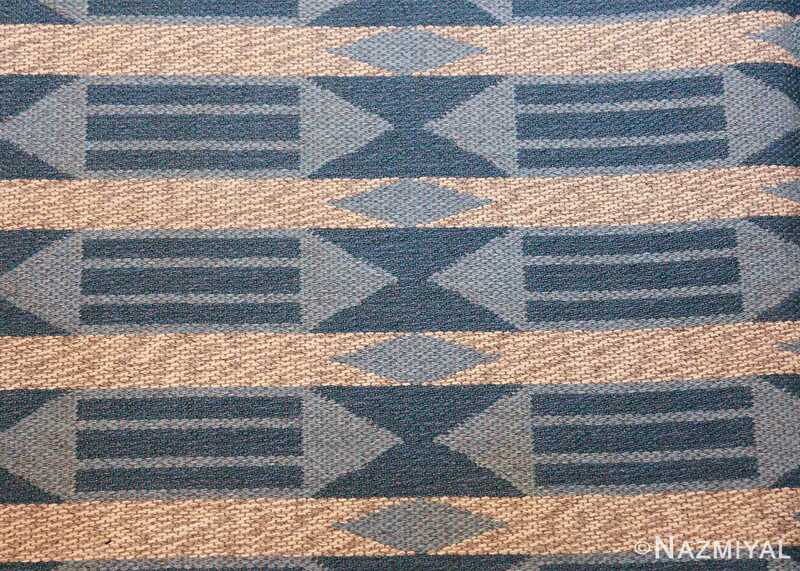 The viewers’ eyes are treated to an attractive display of positive and negative space in both sides of the carpet, with the rich, varying shades of blue creating plenty of opportunities for movement in both instances. Both sides feature the same alternating columns of hourglass figures and three horizontal bars, which are confined to a simple rectangular shape. 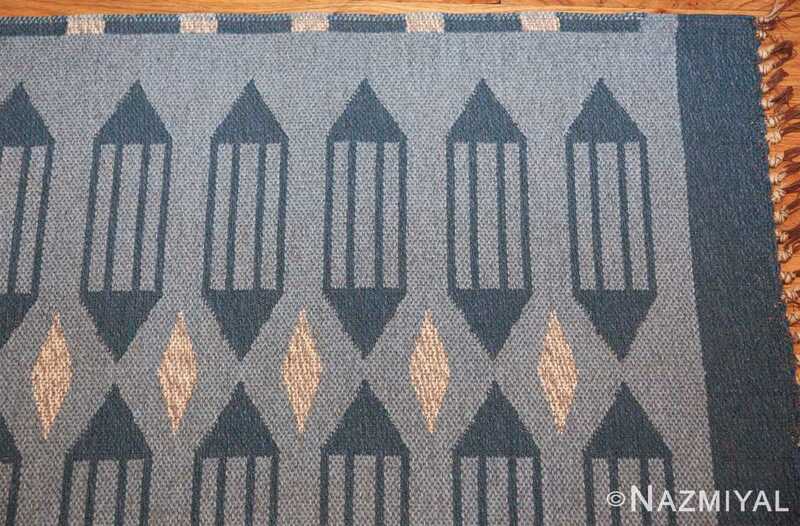 Playful triangles break up the movements and create contrast for the rest of the carpet’s shapes and tones.